No one's ever told Eleanor that life should be better than fine. 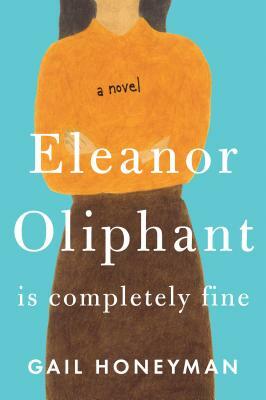 Smart, warm, uplifting, Eleanor Oliphant is Completely Fine is the story of an out-of-the-ordinary heroine whose deadpan weirdness and unconscious wit make for an irresistible journey as she realizes. . .
Gail Honeyman is a graduate of the universities of Glasgow and Oxford. Eleanor Oliphant is Completely Fine was short-listed for the Lucy Cavendish Fiction Prize as a work in progress and is Honeyman's debut novel. She lives in Glasgow, Scotland.